MLB.com Nats beat reporter Jamal Collier gives us a holiday gift with a post-Xmas mailbag dated 12/26/18. Here’s how I would have answered the questions he took. Q: It Harper comes back to the Nats looking for 330/10, do the Nats go over the tax or let him walk? Mark Lerner pretty much said as much in ill-advised remarks to a reporter. The Luxury Tax strikes yet again; the Lerner family, multi-billionaires, will not spend an additional 10-15M above some imaginary payroll number to keep one of the league’s most marketable players. Player salaries actually FELL for the first time in two decades, as clubs in total spent less than they have since 2004. Maybe one of these big-spending clubs will break the bank and hand Bryce Harper and Scott Boras their goal; the largest contract in the history of the game. But it sounds like its a reach, and it definitely doesn’t seem to be happening in Washington. Collier refuses to get into hypotheticals, then notes that the Luxury tax for last year was “only” a couple million dollars. Yeah, and only a couple of high-end draft picks, and only the reason why the club fired one of Rizzo’s most trusted advisors for absolutely screwing it up. A: I think the team was taking a calculated gamble that Tanner Roark‘s best years are behind him. 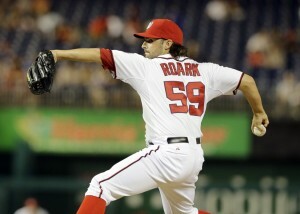 Despite appearances or opinions, Roark was basically a league average pitcher last year. That’s a significant step ABOVE a replacement level/5th starter type. But, he’s been trending down, he’s heading into his age 32 year, and the team thought it could spend his $10M better. I don’t think lefty versus righty had anything to do with it. Of course, they basically replaced him with an even older Anibal Sanchez, so sorry for sounding hypocritical on his age. But while Roark struggled to even get to his 98 ERA+ figure last year … Sanchez had a late-career ephiphany that led him to being one of the top pitchers in all of baseball for the 2nd half of last year. A better trend line in the end. Collier agrees, that this was a gamble betting that Roark is set to regress in 2019. 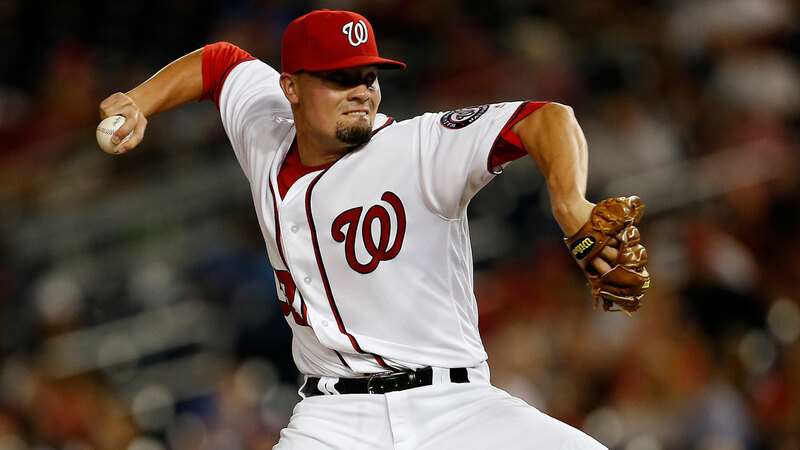 Q: If the Nats go out and sign one or two back end of the rotation starters, what does that do to the development of Joe Ross and Erick Fedde? Moved to the bullpen? Sent to Triple A? Technically both players have one minor league option left, so the team could opt to send them both to Fresno to get lit up in PCL parks and prove nothing. I expect that for Fedde and we’ll have to take his stats with a grain of salt. That being said, I do expect the team to sign at least one more MLFA veteran starter in the Jeremy Hellickson ilk, to go to Fresno and be some rotation insurance/catch lightning in a bottle again. collier kind of gives a non-answer, but he does think Ross could work out of the bullpen (I don’t). Q: In my opinion, 2B is their biggest [remaining] priority. Any movement on that front? There are so many available as an upgrade! 2B: Howie Kendrick starter, Wilmer Difo backup, with Adrian Sanchez and Matt Reynolds as options (Sanchez has an option, Reynolds does not). Middle Relief: right now you’re looking at Justin Miller/Wander Suero/Koda Glover as RHP middle relief options, and Sammy Solis/Matt Grace as lefty options. Which one of those scares you more? For me, probably middle relief. Reliever performance is so variable that its hard to look at the guys who did well last year (Miller, Suero, Grace) and count on them in 2019, just like its hard to look at the guys who struggled (Glover, Solis) and just assume they’re washed up. But, if you buy more arms, its one in, one out on the roster, so who makes way? Collier says the team is focusing on one-year deals for one of the many 2B out there, to coincide with the expected arrival of Carter Kieboom. Makes sense. Q: Other than what Zimmerman and Rizzo have said publically, is there any rumblings about reworking Zim’s contract? Sentimentality aside, would it be wise for the Nats to lengthen the deal in any way? A: Hmmm. man tough question. Zimmerman is owed $18M for 2019, then has a $2M buyout or another $18M year in 2020. He’ll be 34 in 2019, 35 in 2020. 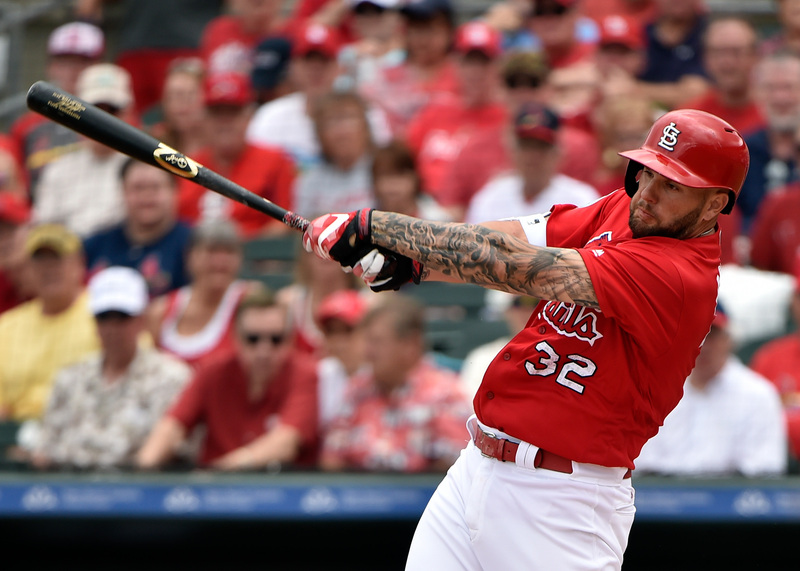 When he’s healthy, he’s good for 25-30 homers, a .300 BA, a .500 slugging, and an OPS+ figure in the 120-130 range. When he’s not … he misses vast chunks of the season, hits in the .250 range, and has about as many homers as a typical middle infielder. Its notable that he *already* has a 5yr/$10M personal services contract with the team in place upon his retirement, so even if he hangs them up after playing for an other team he’s coming back here for the long haul. So he’s going to be associated with the team for a while. First things first: if he puts up another 120 OPS+ season in 2019 and is healthy, I think its an easy option to pick up for 2020. From there, again if he continues to provide value I can see perhaps the team extending him on a year by year contract kinda similar to what they’ve given Matt Adams the last couple of years. I’m sure Zimmerman would take that, given his history, his Virginia roots, the fact that he’s settled here, etc. At some point it’ll become pretty clear its time for him to hang it up … at which point he transitions to the front office nicely with a hope of staying in management for a while. Collier notes that both sides want to continue the relationship, so something should get worked out. Note: this is a recurring post, and large chunks of the older material is recycled. I’ve updated the research for older players as needed (the 2015, 2016, and 2017 players; none of the earlier players had any updates/changes), getting 2017 season updates for everyone on this list still playing, plus 2018 assignments and whether or not they’ve already removed themselves from this list. See here for the 2017 version, 2015 version, 2014’s version, 2013’s version, and 2012’s version of this post, though honestly everything from those posts that’s still relevant is updated here. Even though I know most of this data is repeated from last year, I still find myself reading the whole way down just for a crazy trip down memory lane each time I do this post. And that remains true today, in 2018, reading back to some of the crazy names from our team’s past. Background behind this post: many years ago (November 2010) Mark Zuckerman initially posted a fascinating analysis he titled “From Nats to Oblivion.” It chronicled the astoundingly high number of players that the early incarnations of the Nats were using who, once the Nats released them, never again appeared in a MLB game. I thought the analysis was so interesting that I kept up the same data and have been keeping it up-to-date with the whereabouts of Nats-to-Oblivion candidates ever since. 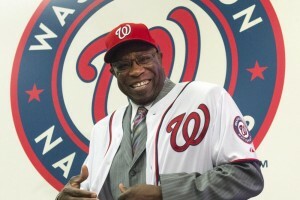 So with apologies to Zuckerman for stealing his original idea, here’s an interesting visit to the Nats darker past. Look at the 2006 season; 35% of the players who played for the team that year never played another Major League game. That’s still astounding to me. Interestingly, the 2017 Nats have a high likelihood of ending up with the largest percentage of oblivion candidates since the bad old days of 2007. Why? Because 1) the team shuffled its bench bats a ton after the Adam Eaton injury and 2) the amazing shift in MLB economics basically removing the job market for pretty much every mid-30s veteran hitter irrespective of their hitting ability. Read on for a detailed look back at some of the very bad players that have put in significant time for this team. Total players used: 25 position players, 24 pitchers, 49 total players. 10/49 = 20.4% candidate ratio right now. 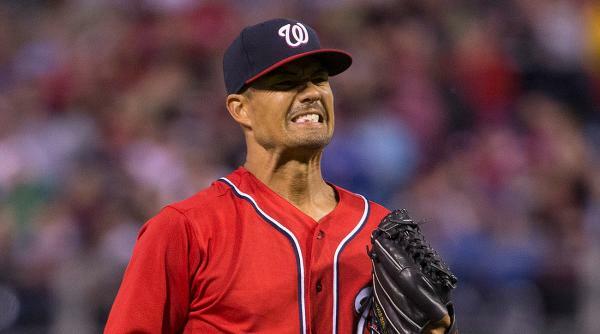 Jeremy Guthrie: famously was “selected” for the 5th starter role ahead of Joe Ross at the beginning of 2017 … then absolutely cratered in his first start, giving up 10 runs in less than an inning. This resulted in his DFA pretty much before he got out of the shower that game … and a couple months of soul searching later, him announcing his retirement. Stephen Drew: announced his retirement from the game after failing to catch on for 2018. Jayson Werth: amazingly, after finishing off his $126M deal … Werth (like a lot of mid-30s veterans) couldn’t find work for 2018. He finally signed a MLFA deal with Seattle at the tail-end of Spring Training. It should be curious to see if he gets a shot, or if the modern-day economics of the game force him out. In late May he extended his ML deal, but only hit .202 in Tacoma and on 6/27/18 announced his retirement. Joe Blanton: badly struggled for the team out of the bullpen in 2017, has yet to sign for 2018. In Aug 2018, a story indicating that he had retired and turned to wine making in Napa Valley. Ryan Raburn: resigned a MLFA deal for 2018, but got cut in spring training. Another in a longish list of corner RH hitters who struggled in 2017 for the Nats and who are struggling to find work in 2018. Still not signed/playing as of late June 2018. Upon his release, WP beat reporter Chelsea Janes reported that Raburn would likely retire if he didn’t make the 2018 team. Grant Green got 3 ABs, appeared in 2 games, then was released in June of 2017. He bounced around two other AAA orgs, declared MLFA in Nov 2017 and never signed. Unfortunately the market for bat-only 1B RH hitting types is … well not good. Signed on to play in the Mexican League May 2018, but was released in July 2018 and did not resign. Likely retired. Chris Heisey: was released in July of 2017 after a horrid stretch, never signed back on with anyone for the rest of the season. He signed a MLFA deal with Minnesota for spring 2018, but failed to make the team and was released later in Spring Training. His 2017 numbers don’t inspire confidence, and he may be getting run out of the game like a lot of veteran RH outfielders. Still unsigned as of June 2018; likely retired. Alejandro de Aza: gave the Nats some awful OF coverage in 2017, then signed back on to provide 4-A outfield depth for 2018. Could get another shot … but he’s way down on the depth chart. 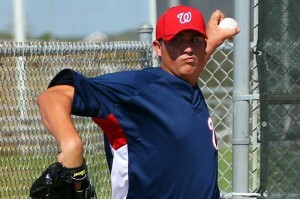 Released from the Nats AAA team in mid August; may be done. Adam Lind: like Werth, Lind couldn’t find major league work and signed a MLFA deal mid-way through ST 2018 with the Yankees. Released by the Yankees on 5/25/18, then signed on with Boston. Struggling in AAA all season, does not look any closer to a call-up. Released again 8/1/18. Raudy Read: the sole hold-over from 2016 who was on the 40-man the entire season but whom never appeared. Outlook for remaining 2017 Oblivion candidates: Not good. It would not surprise me if 8 of the 9 remaining guys never appeared again, mostly thanks to the oft-mentioned issues with mid-30s hitters in today’s baseball climate. It would also not surprise me to see Lind get a call-up. The rest of this crew are basically looking retirement in the face. Favorite Nats to Oblivion Story: Has to be Guthrie’s meltdown. I was highly critical of the moves the team engineered so as to give Guthrie that start. And make no mistake, the 2017 opening day roster jumped through a lot of hoops so as to give Guthrie that start. Total players used: 19 position players, 24 pitchers, 43 total. 4/43 = 9.3% candidate ratio right now. Jonathan Papelbon: Initially, it was hard to believe he was on this list. However, after his release mid-2016, not only did he not sign on for the rest of the season … he never signed on with anyone for 2017 either. Its possible he mis-calculated the market for his services, instructing his agent to hold out for closing jobs only. Its also possible his baggage prevented any GMs from voluntarily bringing him into a clubhouse. Nonetheless, he remains out of the game despite his probably being able to be a 6th/7th inning guy to this day. Clint Robinson: long-time minor league veteran made the team in 2015 and had a break-out season, but struggled badly in 2016, prompting the team to sign Adam Lind to a guaranteed deal, all but eliminating Robinson’s chances from making the roster. Robinson was waived towards the end of 2017 Spring Training as expected, cleared waivers and played the entire season at Syracuse. I read a quote from him talking about how his half-MLB salary made it worth him playing out the year, and based on Ryan Zimmerman‘s typical fragility he might have had a good chance of getting called back up. Unfortunately for Robinson, Zimmerman had his career year in 2017, Robinson played out the string in 2017, then officially retired and took a scouting job with Miami. Rafael Martin: Just a handful of Sept 2016 innings after a not-very-impressive 2016 in Syracuse, and was DFA’d early in 2017; he was outrighted, pitched the whole season in Syracuse and is now pitching in the Mexican leagues. He seems likely to stay there at this point as an age 34 softer-tossing right handed reliever. 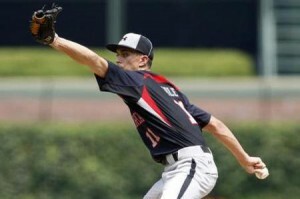 Sean Burnett: given a quick look late in 2016, signed MLFA deal with Philadelphia for 2017 but failed to make their opening day Roster and was released. Zero 2017 appearances and looked like he may be done, then signed MLFA deal with Miami for 2018. Got hit very hard in AAA for 2018, released in mid June by Miami from their New Orleans roster. Names removed since Apr 2017 publication: Espinosa, Revere, Belisle, Melancon, Rzepczynski, all of whom signed MLB deals and appeared in the first week of 2017 for new teams. Petit, who made the 2017 Angels as an NRI. Difo and Taylor for making the Nats 2017 opening day roster and getting appearances. Mat Latos removed when Toronto added him and called him up in April 2017, shocking me; I figured Latos was done. Technically Ross’ first start removed him from this list. Matt den Dekker got removed when Detroit recalled him for a few games in June 2017. Wilson Ramos indeed returned from his injury and began starting for Tampa. Brian Goodwin not only returned to the majors but got an extended run of starts with Werth’s 2017 foot injury. Severino got recalled during an outfielder crunch in July 2017. A.J. Cole got a spot-start in May 2017. Relievers Gott and Grace both got re-calls, with Grace impressing and Gott not. Reynaldo Lopez removed upon his 8/11/17 call-up for CWS. Giolito was called up a week later. May 2018: Spencer Kieboom got called back up after a year off the 40-man roster; he’s a great example of putting your head down and earning your way back. Outlook for remaining 2016 Oblivion candidates: Of the 5 candidates, I don’t see an easy path forward for any of them. Two are more or less retired, one now probably permanently in Mexico, and the other two face longer odds to get back to the majors. Dan Uggla: The Nats were probably his last stand chance in the majors; hit just .183 and was given just 17 ABs the last two months of the 2015 season. Never signed for 2016 and is retired. Reed Johnson: Got picked back up on a MLFA deal by Washington for 2016 season, but did not make the team out of spring and was released on 4/2/16. He did not pick up with anyone for 2016 and at age 39 is retired. Taylor Hill: Hill was DFA’d to make room for January 2016 signings and was outrighted to AAA, so he faces longer odds to get back to the majors at this point. If it comes to it, would you rather go with Hill or the likes of Voth or Giolito at this point? Hill finished out the year for AAA Syracuse with a 4.60 ERA in 27 starts, but I’d have to say he’s just an innings-eater/org guy now. Still with the team for 2017 but has been passed on the depth chart by several guys (Cole, Voth, Fedde) and faces long odds of a return to the majors with this organization. Started 2017 badly, demoted to AA. At the end of 2017, elected MLFA and did not sign a new contract; likely done. 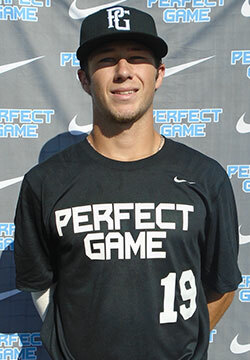 Aaron Barrett: the odds of him turning into Cole Kimball seems small; an elbow is not a shoulder. But until he recovers from his 2015 surgery, he’s an Oblivion candidate. He’ll sit on the 60-day D/L for most of 2016. In June of 2016, he had a major set-back in his TJ recovery, fracturing his elbow. This will require another visit to Dr. James Andrews and another surgery. The Nats outrighted him off the 40-man after the 2016 season and he elected free agency. He has re-signed with the Nats for 2017 and starts the year on the AAA D/L. He still remains in the system in 2018, again starting the year on the D/L, but he’s still here, still has a shot. Assigned to Short-A Auburn in June 2018 and is pitching. David Carpenter: shoulder injury, DFA’d, elected free agency and quickly signed a ML deal with Atlanta for 2016. However he was cut after just a handful of spring training games; maybe his injury is worse than we thought. He then bounced from Tampa to the Angels system for 2016, and then signed back with Tampa as a MLFA/NRI for 2017, but was cut on 4/4/17. Signed w/ Arizona in July 2017 and posted an ERA north of 9.00 for AA/AAA. Still in Arizona’s XST for 2018 as late as mid July, no appearances but no release. Names removed since initial publication: Fister (signed a $7M deal with Houston for 2016). Thornton (MLFA deal with San Diego and made 25-man roster). Burriss: signed MLFA with Philly and lead-off against the Nats in their first visit to Philadelphia in the new season. Added Stammen when he failed to make Cleveland’s 25-man roster in 2016. 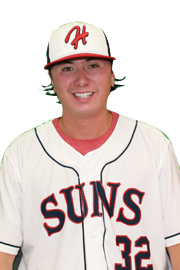 Removed Solis when he got called up to cover for injury to Belisle. Removed Martin when he got called up briefly on 6/27/16. Removed de los Santos when he got waived, picked up by Cincinnati and appeared for them mid Sept 2016. Removed all our 2015 prospect-types who all got 2016 call-ups: Turner, Difo, Severino, Grace, Cole. Stammen removed after he made the 2017 San Diego Padres out of spring training. Tyler Moore made the 2017 Marlins, and got a crucial hit against the Nats early in 2017 season, but was soon DFA’d. Names removed since publication: Kevin Frandsen (signed w/ SFG and appeared in 7 games in 2015), Ryan Mattheus (got one game with LAA, waived, then pitched the whole of 2015 in Cincinnati’s bullpen), Rafael Soriano (who finally signed with the Cubs in June but had just 6 appearances before getting released on 9/4/15, and Taylor Hill (who had 12IP across 6 games for the Nats in 2015). Added Nate McLouth after Karl noticed he was missing in the comments. Erik Davis; Nats AAA 2014 60 day D/L Tommy John surgery 2014, still on Nats D/L 2015. Outrighted off the 40-man in January 2016, assigned to AAA. Posted a 4.13 ERA in a full year of middle relief for Syracuse, with excellent K/9 ratios, but did not merit a 9/1 call up. Elected free agency after 2016, signed with Arizona and pitching at AAA Reno for the organization in 2017, posting mediocre numbers but pitching a ton (50+ appearances in 2017). For 2018, he signed another MLFA deal with Milwaukee, with a ST invite, and currently is toiling for their AAA team in Colorado Springs. Updates since publication: removed Jhonatan Solano went 1-20 for Miami in 2015 and may be a “Marlins to Oblivion” candidate going forward. Removed Chris Marrero after he made the 2017 San Francisco Giants team in a shock (four years in the minors between MLB at bats). Unfortunately he was DFA’d just a few weeks later after struggling to start the season. So … in case you couldn’t tell, I’ve been swamped and have not been posting. Its a job transition thing; I’ve gotten hit on all fronts and just have had no time to do much of anything outside of work. At some point this spring, I hope to do a review of the non-roster invites, like I do every year, since we’re almost guaranteed to get an NRI making the roster. Big news so far in camp, of course, Koda Glover lasting about 5 seconds into spring training before getting shut down due to shoulder soreness. I’m beginning to think Glover is the latest incarnation of Christian Garcia, a guy with an 80 arm and a 20 ability to stay healthy. I guess the other big news is non-news; Bryce Harper preemptively telling reporters to not bother asking him about his pending free agency. Fair enough; good luck having that directive stick as Harper (the biggest personality in the sport) travels to all the major baseball cities with beat reporters looking to fill inches. Harper also made an off-hand comment about the Marlins, quickly retorted by Don “get off my lawn” Mattingly, who was subsequently ridiculed for his over-reaction by none other than frequent Nat-hater Craig Calcaterra over at Hardball talk. Glover’s injury quickly led to a 40-man deal for the ageless Joaquin Benoit, which will require a corresponding 40-man move. I’m wondering if Glover to 60-day D/L won’t be the play, since they were pretty quick to shut him down post-MRI. Actually, it probably makes more sense to officially move Joe Ross to 60-day D/L first, since we won’t be seeing him til August at the earliest. (Post-publishing update: yup, that’s exactly what they did when the signing became official; moved Ross to 60-day d/l). four veterans on guaranteed contracts in Doolittle, Madsen, Knitzler and Kelley. three younger guys, all of whom have zero opens left: Grace, Solis and Romero. Soooo, unless there’s another injury, or a DFA, I’m not quite sure how Benoit makes this team. In other non-news … the Nats still don’t have much of a 5-th starter competition. Mike Rizzo was quoted a few weeks ago “naming” A.J. Cole as his 5th starter. And why not? Also out of options, Cole makes the team or faces the waiver wire. So it only makes sense for him to break camp with the team as its 5th starter. Not much else to report for now. Can’t wait for games to start so we can have our typical over-reactions to stat lines! The subject says it all. This is easily the earliest the team has ever clinched; normally its like the 2nd to last game of the year. (Previous clinch dates in order: 10/1/12, 9/17/14, 9/25/16). I will be adding the 2017 clincher to my running/ever growing list of notable Nats games, to be republished this off-season after we win the World Series ;-). From a content generation standpoint I have started (after not doing them in 2016) the pitching staff reviews for the minor leagues … but they’re slow to develop because we ran through SO MANY pitchers in AAA and AA. So those are coming eventually. Its been a challenging couple of months for me personally, hence the lack of content. Meanwhile, with the off-day comes a mailbag from Nats beat reporter Jamal Collier. Since i’ve been struggling with content generation lately, lets do a response to kick off some conversation. A: Well, this is the million dollar question isn’t it? I read somewhere and will paraphrase someone’s research about the Nats offense with and without Bryce Harper … and its about a run/game less. That’s significant. His knee injury was worse than we originally thought and includes a calf strain too. He’s got about 3 weeks left to get back. 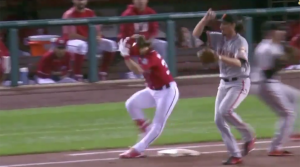 My prediction is that Harper makes it back but is hobbled/not 100%. Meanwhile Jayson Werth has fewer at bats in June/July/Aug/Sept combined than he had in April alone, and now he has a shoulder issue. No wonder the team called up its #1 prospect Victor Robles. I’m also beginning to think that Robles is part of the post season discussion, since these two guys are struggling and Alejandro de Aza isn’t exactly lighting the world on fire. OF prediction for October: Werth, Michael Taylor and Harper starting but struggling, with the team turning to Howie Kendrick as needed and carrying Andrew Stevenson as its 5th/defensive replacement/pinch runner. Robles comes into play if there’s another injury over de Aza or Rafael Bautista or anyone else we can think of. Q: Right now, I have no faith Kelley won’t give up hard hit balls whenever he comes in. Odds he makes the playoff roster??? A: We may have to revisit our post-season roster predictions, published on 8/26/17, given what’s been going on. At that time I went with Doolittle, Madsen, Kintzler, Albers, Glover, Perez, Grace, Romero as the bullpen, leaving out Shawn Kelley. However, it does not look like Koda Glover is making it back, so we need another name up there. That could be a lefty like Solis, or one of struggling vets in Kelley/Blanton, or perhaps more likely Edwin Jackson. Nonetheless, I think Kelley has pitched himself out of contention. Collier agrees; he does not think Kelley merits a spot on the post-season roster either. Q: Will @EJ36 be on the postseason roster? A: Well, speaking of. Yeah I think he makes sense as the 8th man in the bullpen right now. He can spell a starter if they get into trouble early and he’s certainly pitched like he deserves it. He also has experience relieving and could come in and throw middle innings if need be. I like him as the Glover replacement in the above question. Q: Based only on the Nats Park locations: what’s better, Ben’s or Mike Isabella’s? A: I don’t know how anything can ever top Ben’s Chili Bowl for ballpark fare. Collier is a huge fan of the subs at Mike Isabella’s. Maybe he doesn’t like getting chili all over his game notes. Q; Will some of the vets who don’t make the playoff roster still travel with the team? A: Oh yeah, they’re still part of the team and will want to take part. They know how things go; you can get onto the NLCS foster even if you’re not on the NLDS roster. You aren’t going to just give up on your season’s accomplishments because you got squeezed out of the roster. Q; Since Goodwin looks like he is not returning, who do you think will be our backup CF for the playoffs? A: I kind of answered this above, but I do think its going to be Stevenson over Robles or others. Primarily because I think he’s more of a CF than other options, he’s sufficiently fast to pinch hit, he’s older and more experienced, and he’s projecting to be a very good defensive CF (24.5 UZR/150 in his limited time there). Collier goes with Stevenson too.